If you’ve decided to start purchasing vitamins and supplements, you will notice one distinct characteristic about them. They are extremely expensive! If you go to the health food store and only purchase three or four bottles of supplements, the total can easily be well over a hundred dollars. Assuming that each bottle has only a month’s supply, if you are on a serious supplement regimen, it could possibly cost you up to a couple of hundred dollars a month if you buy the premium brands of vitamins. So here are a few tips on how to get your vitamins for the cheapest price and still enjoy the benefits associated with the most expensive name brands. Tip #1: Don’t pay more for the fancy label. Many vitamins and supplements come in very ornate looking packaging. However, once you start reading the fancy label, if you don’t see any difference between its ingredients and the cheaper brands’ - that’s probably because there is no difference. A lot of times, you are paying more for the name on the bottle because you are paying for the advertising the company puts out. In reality, vitamins from companies with a huge difference in price from other brands actually come from the same factory. Tip #2: Generic brands are just as good as name brands and cost about half as much. Again, read the label. If the generic has the same ingredients as its competitors; it is the same thing. In fact, many companies put out a generic brand along with their name brand to capture price-conscious shoppers along with their more discerning customers. On some generic labels, you can even see a “distributed by” in fine print on the back of the bottle. Always buy generic when you can to save money. Tip #3: Most chain supplement stores have a preferred member discount card. If you shop on certain days of the week or by certain products, you can really save a lot of money. These stores also have frequent sales for members-only on all kinds of name brand vitamins and supplements. Most cities have one of these types of stores at the mall, so they are convenient to get to as well. Tip #4: If you have a favorite brand, check out their website on the internet. They almost always have coupons and special offers that you can take advantage of online, or coupons that you can print off and use locally. It might even be a good idea to get on their e-mail list. That way you can be alerted when they are offering discounts. Tip #5: Do a search for “cheap vitamins” on the internet. You will be able to find all of the discount vitamin warehouses that deliver cheaply priced name brand vitamins right to your door. 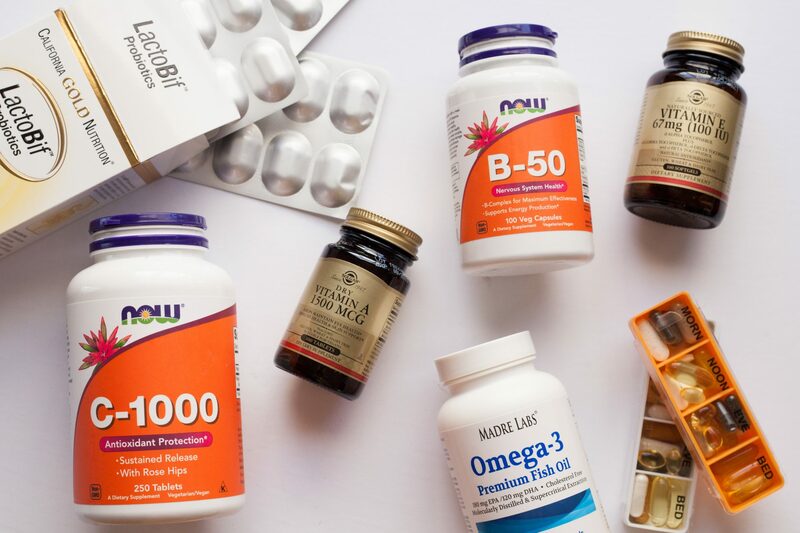 This is the best way to save money on vitamins and supplements, because some of these internet vitamin warehouses sell name brand vitamins for over half-off the regular price. Shipping charges are also usually nominal as well. Tip #6: Buy your vitamins in bulk when you can. If you are buying something like vitamin C for example, and your whole family takes it, you will save money if you buy the larger bottles of it. The same is true of multivitamins. You can also go with a friend who is buying the same supplements and split the larger bottle in half. Tip #7: Buy synthetic vitamins and supplements when you can. It is always better to buy vitamins that are derived from natural sources. The whole point of buying vitamins is to get nutrients from a natural food source, as opposed to using a synthetic drug. However, the difference between a lot of synthetic and naturally produced vitamins has yet to be determined. In many studies, the difference between synthetic and real vitamins is negligible at best. Saving money on vitamins and supplements isn’t hard if you pay attention and are always alert for deals. While vitamins and supplements can be expensive, there isn’t any reason to pay more than necessary to stay healthy.